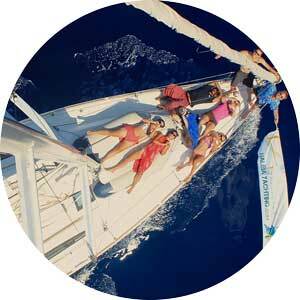 I have been sailing with Naleia for 5 years, and teaching climbing for over 15 years. In the four years I was living in Malta, I sailed and kayaked around the islands and wore out innumerable pairs of climbing shoes on the cliffs of Malta, Gozo and Comino. For this sailing & climbing trip, I will be both your skipper and your climbing instructor. Depending on the size of the group, we may also get help from one or two of the local climbing guides. I am a certified mountain guide (Belgian Alpine Club) and hold an RYA Yachtmaster Offshore. It will be my pleasure to teach you the basics of sailing (hoisting and trimming the sails, mooring, navigation, reading charts,..) and of climbing (using the equipment, tying the knots, belaying, climbing technique, movement and position, lead climbing, setting a belay,…). I believe that climbing and sailing make a perfect combination. 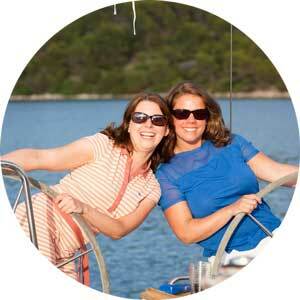 We will leave the trip stronger, more confident, with plenty of memories at sea and on the rocks! Ability after the course: able to steer, handle sails and trim them to the wind, keep a lookout, avoid collisions, navigate (basic), read charts, plan a daily passage, row a dinghy and assist in all the day to day routines. Example of manoeuvres which you should be able to perform with your crew: hoisting and putting down the sails, jibing, tacking, trimming the sails, man overboard. 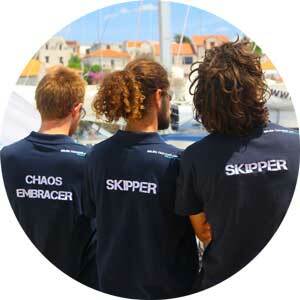 Example of manoeuvres where you will assist your skipper: anchoring, mooring at a buoy, mooring in the marina. Please get in touch with us if you would like to join as an autonomous climber. You can either bring your own gear, borrow from friends, or we can organise the rental of this equipment in Malta. A full set (harness, climbing shoes, helmet, chalk bag, belay device) will cost 25€ for the week. Please let us know if you need to rent gear. At Naleia we plan as we go according to the weather conditions and all crews’ moods. There are a variety of places that we can visit, but the order and exact choice is only made each morning after verifying the weather conditions. Leave planning at home! We live for the moment! DO I NEED TO BRING CLIMBING GEAR? You can either bring your own climbing gear, or we can organise rental for you in Malta. You will need: a harness, a belay device (tube, grigri or similar) + carabiner, a pair of climbing shoes, and a helmet. The price for renting the whole set in Malta is 25€ per person for the week. HOW DIFFICULT IS THE CLIMBING IN MALTA? Whether you are an absolute beginner or a world champion, you will find climbing for your level. Most of the sites we will visit feature slab, vertical and overhanging routes graded from 3+ to 8a. WHAT KIND OF CLIMBING WILL WE DO? We will mostly climb sport routes, that means routes that have bolts (pre-drilled metal hooks) in them. We may perhaps climb on some sites without bolts (known as ‘trad climbing’). We will mostly do top-ropes (where the rope is already passed through the top of the route). Experienced climbers may have the opportunity to lead climb (place the rope on the route, starting from the bottom). If time allows, and depending on the size of the group, we may even go for a multi-pitch (a route that is longer than the length of the rope, so it is necessary to relay in the middle of the cliff).